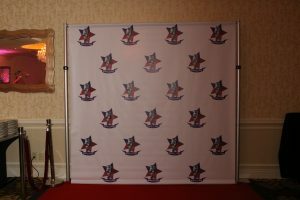 Pushing the envelop and always looking for new trendsetting event ideas, is our mantra here at Xplosive Entertainment. 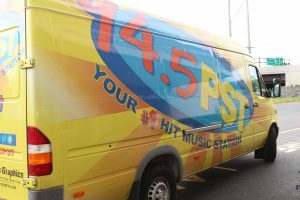 Several months ago, we at Xplosive announced a partnership with 94.5 WPST radio in which our teams combine forces and provide clients with an exclusive VIP experience. 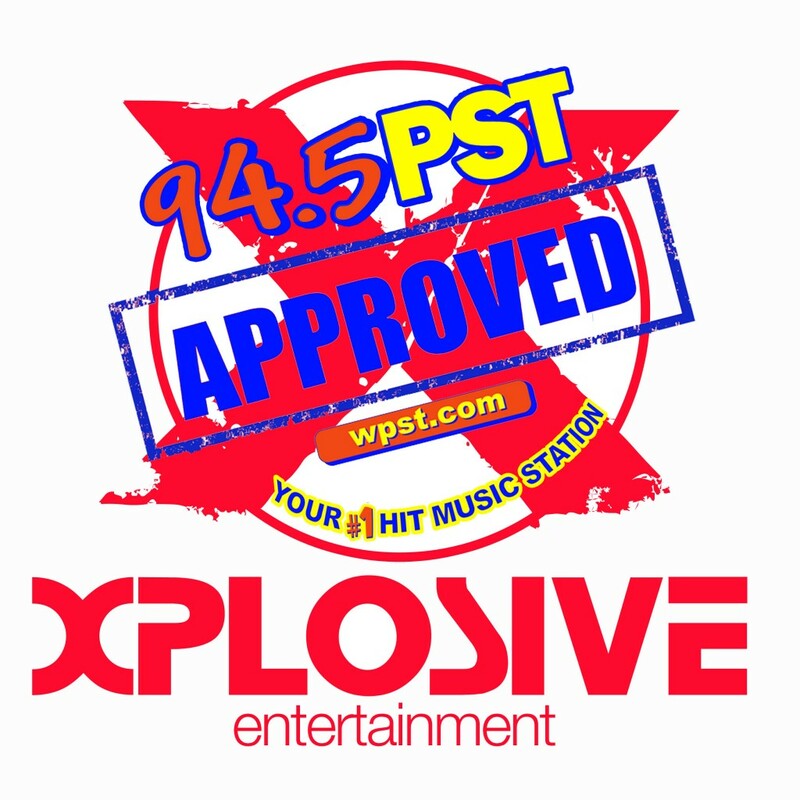 No two events are the same, therefore the “PST Approved” Xplosive Partnership Program doesn’t have any preset packages. 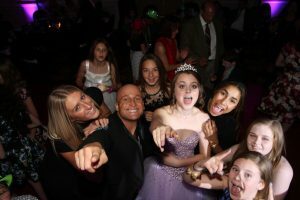 Rather, we sit with interested families and design a personalized event program tailoring specifically to each and every individual client’s needs. Last night was the prime example of why this program was conceived. 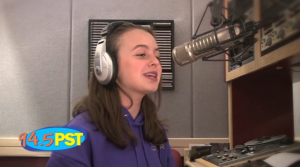 At 7:30pm mom, dad, our guest of honor (Rebecca) and her older sister (who ironically is a high school student very interested in a future on the radio) all met at the WPST studios located in Princeton, NJ. Together, we toured the studios. We saw it all… the giant computers responsible for running the station, to the production rooms, the on-air studio, the sales area, the promo head quarters, the live studio, and even the employee break-room. Not only was the tour thorough, and interesting, but Shinn (an on-air personality at WPST and Promotions Director) even brought Rebecca and her family into the studio where we met Corrine who was broadcasting live while we admired how smooth and relaxed she was doing her thing. 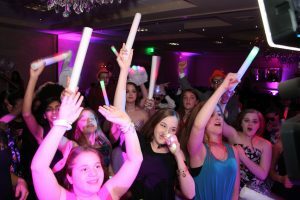 Following the tour, we sat in a conference room, listening to PST on overhead speakers, and we began planning Rebecca’s bat mitzvah celebration. Prior to this meeting, a venue was selected, but that’s it; no idea of theme, color scheme, vision, etc. Michael Langsner, from Xplosive Entertainment began asking questions to gain an understanding of the family’s ideas. He confidently knew that this was not going to be a cookie cutter event. And that’s when the light bulb went off. 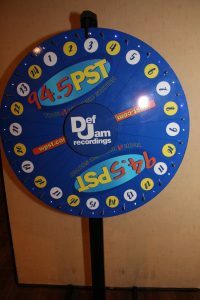 Rebecca loves music, we were sitting at one of NJ’s most listened to radio stations, the answer was so simple. 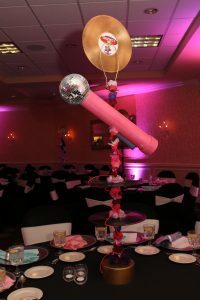 Why not have a radio themed party? Becca FM? All of a sudden the ideas were flying (and they didn’t stop then). For the next 24 hours ideas were popping into Mike’s head which were shared with the family and Shinn at PST. How about a pre-recorded video shoot of Rebecca (who clearly is not shy) sitting at the studio’s impressive mixing board, with head phones on, all glam’ed up for her broadcast debut. 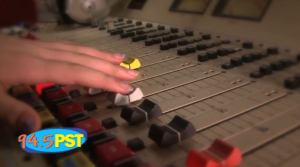 With the camera’s rolling, Rebecca is announcing the top 10 count down of her favorite songs. 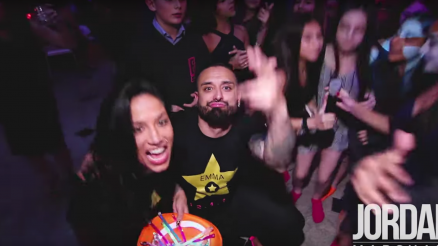 This video clip is then intended to play on the big screens at her party leading right into her grand entrance. Then, who better to announce her entrance into the main ballroom, but Shinn, WPST’s most sought after event host! 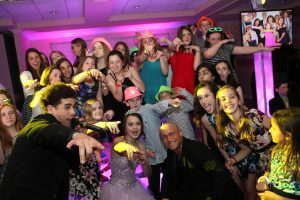 Rebecca’s bat mitzvah will continue rocking all night with her favorite songs playing, her friends and family dancing, and enjoying the combined efforts of Rebecca’s favorite station, WPST and Xplosive Entertainment, (one of NJ’s top bar/bat mitzvah event firms). There are so many more details shared, but we do not want to give away too many secrets yet. The party is still over a year away. This is why WPST and Xplosive Entertainment are proud to be strategic partners and able to offer an exclusive VIP event service for our clients. Wow… what an incredible event! Rebecca’s big day came to life in a magical way. With Xplosive supervision we coordinated a unique video recorded grand entrance with Rebecca’s sitting in the broadcaster’s chair calling out (while rocking head phones) her parents, siblings, and finally herself. The video was filmed by Bob Anthony Films. He carefully directed the editing so it worked properly in the live setting at the party. 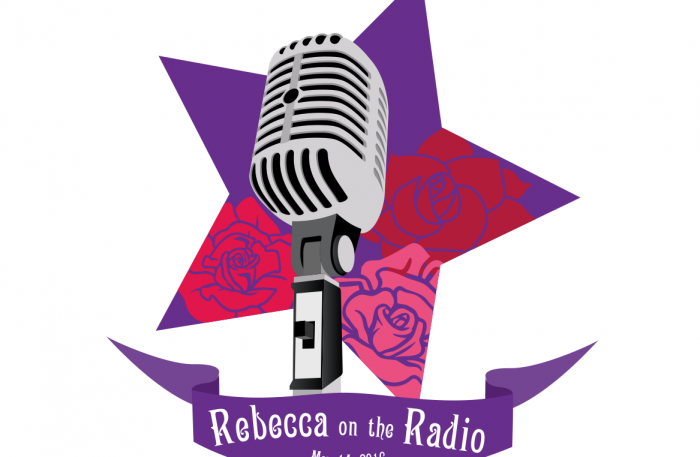 Rebecca’s logo, too, was a bit hit. Rebecca’s middle name is Rose. Her last name is Star. And the party was a radio theme. The logo captured all of this subliminally while incorporating her color scheme. 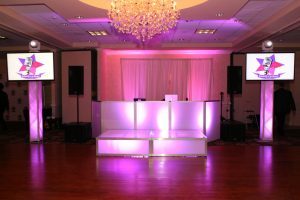 Radio personality, Shinn worked hand in hand with Xplosive’s MC Joe R. Together they took the party on a seamless journey from start to finish.